6:27 PM PT -- A source involved in the negotiations tells TMZ Sports both fighters have agreed to fight and a date and location (Vegas) have already been set. The source says the formal agreement has not been signed but everyone expects the signatures "soon." Negotiators are putting "finishing touches" on the deal. 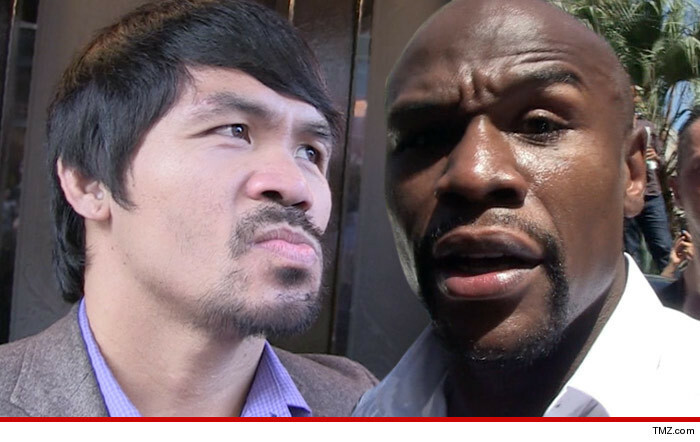 Floyd Mayweather has agreed to fight Manny Pacquiao ... multiple sources tell TMZ Sports ... who say the two finally came to an agreement moments ago. But now, after meeting in person at the Miami Heat game earlier this week ... we're told it's a done deal .. and the two sides will make a formal announcement in the coming days.